What comes to your mind when I say Black & white, two colours totally different, they are like the extremes, like totally opposite ends of a magnet. People even label themselves others as pessimistic and optimistic! I want you to take a moment to convince yourself that these are just extremes like black or white! //I delivered this speech on 18th Feb Loudspeakers meetup. Imagine a tree. A really big, dense tree. So long that no matter how much you climb, you can’t reach its zenith. It has innumerable branches! The tree is laden fruits of all kinds, some small some really big, some bitter while as some sweet as anything can be! Most of the big fruits are at the very top while the small ones are mostly at the bottom. A bunch of monkeys live in on the tree. Every day they wake up and go on the hunt for fruit. Nearly everyone aims for those big fruits but while climbing the tree they see those small fruits which are so easy to get. And nearly all monkeys end up eating those and hence they never ever get the big fruits and this happens every day. Every day the monkey decide that today they are going to climb the tree and would only stop when I reach the big fruit but soon they get distracted and attracted by those small fruits and this goes on forever! As many of you have guessed by now that the monkeys are nothing but us, The tree is our life and the fruits are the thing which we consider as achievements. The big fruits are nothing but the big goals you have like being a professor or a motivational speaker, while small fruits are things like Instagram followers or just watching a movie, basically things which give happiness in short time. //I delivered this speech on 27th Jan Loudspeakers meetup. It has been an amazing evening, Thanks for the beautiful speeches. 3-4 years back while preparing for university entrance, near the exam time, I felt that I need more time to study and blamed my sleep for wasting too much of my time. I came up with a mega plan, the plan was to sleep once in two days, as my very extensive research showed that I spend 16 hours sleeping in two days if I sleep for 8 hours a day, but if I decide to sleep only once in 2 days, I would sleep just for 10-12hours, saving basically 4hours! I implemented the mega plan, and yes I got the mega results, I got severe headaches and I scored really really low in the entrance exams. No doubt, I was a fool back then and my foolishness lasted till for 2-3 years more. Until last year, I kept keeping my sleep at bay, Every night I would go to sleep around 2am and would wake up at 7am for college basically getting around 4-5 hours of sleep. //I delivered this speech on 19th August Loudspeakers meetup. 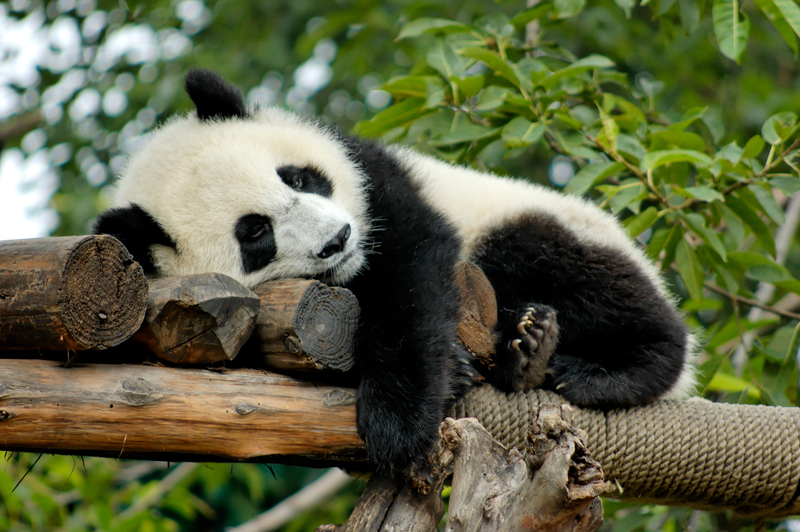 What comes to your mind when you hear the word ‘panda’? Really, the way the scientist has saved pandas is really commendable! It’s an achievement that we humans have enough knowledge to save a naturally fucked up species. Let me explain a bit, how much fucked up pandas are! The body of the panda is designed for a carnivorous diet! Their paws are developed to hunt small animals. And yet this animal somehow decided that he would only eat bamboos & would use his claws only to hang from the bamboo trees., Seems like pandas are the “Jains” of the animal kingdom! Imagine, a guy in this late 40s. Arrives back to his home country via a ship, he is wearing premium British clothes, holding a suitcase full of legal papers. His dad worked for British Raj (East India Company) & helped the Britishers to collect tax from innocent peasants. In his 20s, the guy was nothing more than a spoiled brat, he smoked, he lied,, he drank! He got to study England when about 10% Indians could read & write! He was lucky, that His family had enough wealth that he could spend his life resting. But yet, this insane guy, when he returned back to India did something no one in the history the of the world ever did. My favorite lines from books ! Never miss a post of mine! © ABHIJEET JAIN and abinotronix.wordpress.com/2016-17. Unauthorized use and/or duplication of this material without express and written permission from this site’s author and/or owner is strictly prohibited. Excerpts and links may be used, provided that full and clear credit is given to ABHIJEET JAIN and abinotronix.wordpress.com with appropriate and specific direction to the original content.